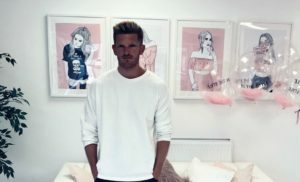 In The Style, the fast fashion retailer endorsed by reality stars like Binky Felstead, Charlotte Crosby and Billie Faiers, has hired Manchester digital agency Return. Based in Salford, In The Style was recently named by Hitwise Intelligence as the second biggest emerging brand in UK fashion. Return’s multichannel digital strategy will focus on driving new user acquisition through improved top-of-the-funnel activity across paid and organic channels. In The Style joins Return's fashion ecommerce roster which already includes Joanie Clothing and Oh Polly. Its owner and director, Adam Frisby, said: “It was quite simple really. Return particularly impressed me with their expertise and knowledge of online marketing, and the fashion sector in particular.